Pioneers in the industry, we offer shrink wrap film from India. Color Blue, Red , Green etc. 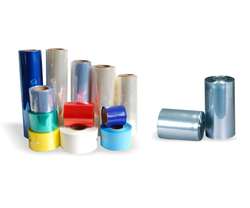 We have gained a remarkable position in the industry by offering a superb quality collection of Shrink Wrap Film that is used in packaging industry. Our experts use high quality of material for manufacturing these products along with advance machines following the market norms. These products are easy to use and protect the good from moisture and dust during storage and transit process. Customers can easily purchase these products from us within a committed time frame at affordable rates.